I love hosting get togethers at my house! The only negative to hosting, is trying to be social while getting all the food ready! So, I’m all about having a few items that I can prepare ahead of time! 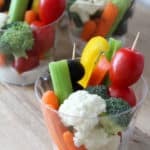 These Easy Veggie Cups have become one of my favorite appetizers, because I can put them together before all my guests arrive! To start, order or grab some short clear cups. I love the Chinet Cut Crystal Tumblers that are 9 oz. They’re the perfect size in my opinion. 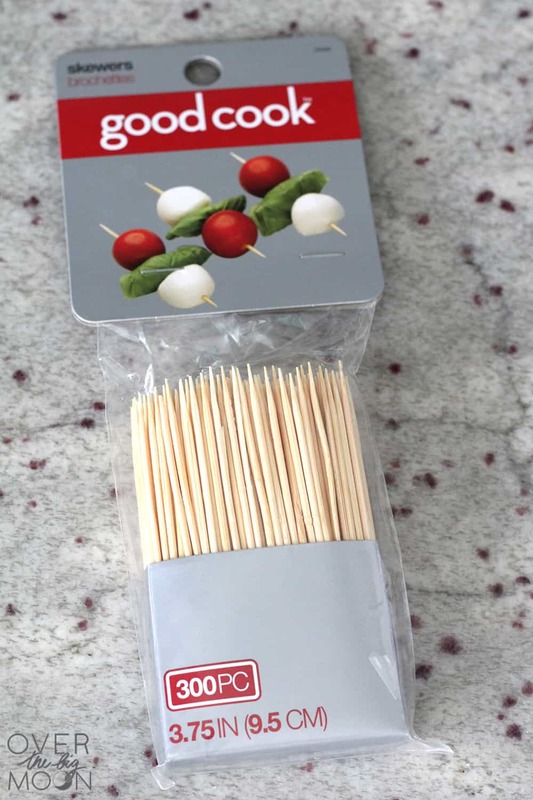 Then grab yourself some mini skewers. 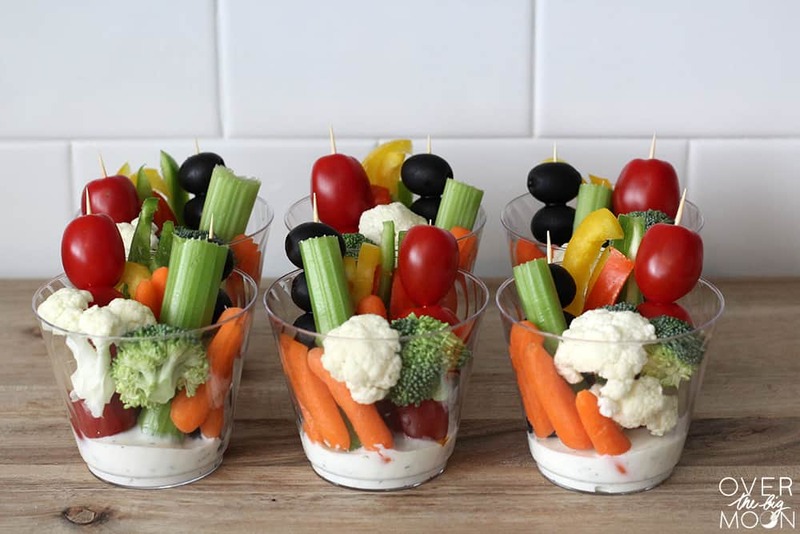 Obviously not all the vegetables are going to go on them, but I think they add a fun dimension to the cups. 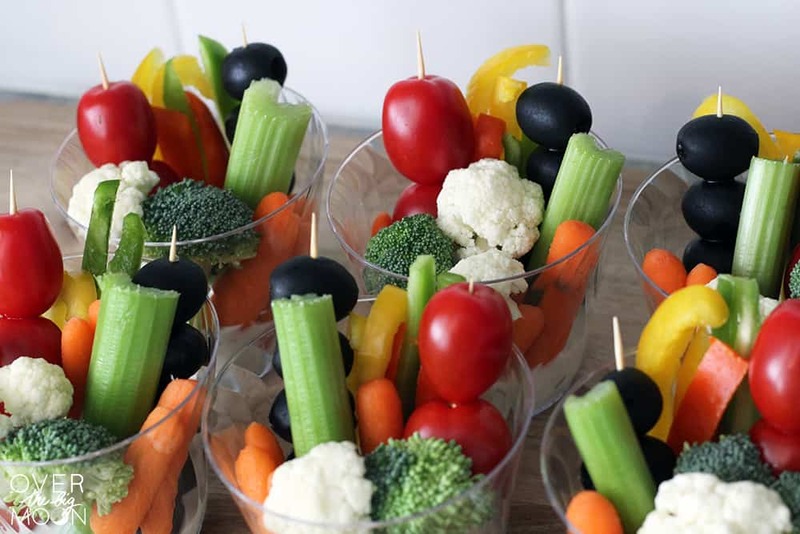 My favorite veggie’s to put in my easy veggie cups are yellow, orange and green peppers, olives, celery, grape (or cherry tomatoes), carrots, cauliflower and broccoli. But, obviously these choices can change depending on preference, as well as in season veggies! Hope this helps make your next party or gathering a little easier! Have a great day! If you love this idea – then I’d appreciate it if you pinned the image below! xoxo! 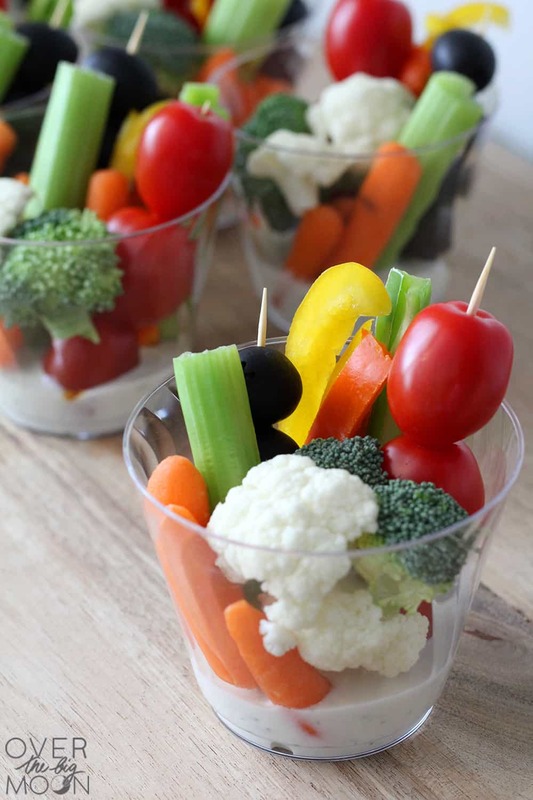 Looking for other appetizer options? Check these out?